I know you can’t see me right now (Or at least I hope so, because it would be super-creepy if you could, wouldn’t it? 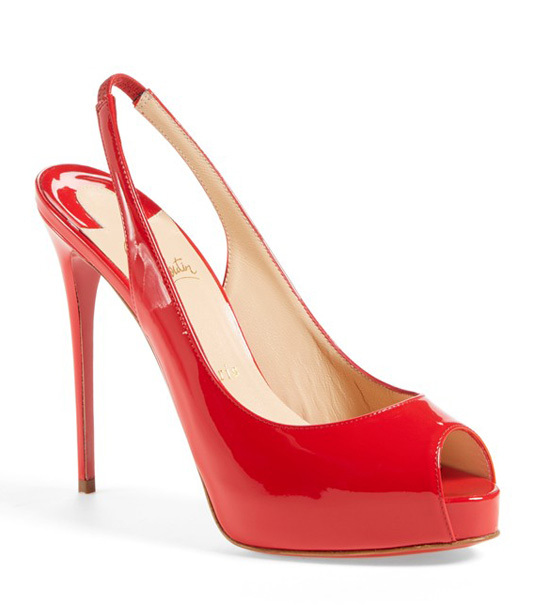 ), but I think there’s a pretty good chance you heard me shriek when I first laid eyes on Christian Louboutin’s red patent ‘Private Number’ peep toes. Actually, I’m gutted by this discovery, because I already have a pair of red patent peep toes (no, they’re not slingbacks, but close enough), and I was honestly pretty happy with them. Now that I’ve met ‘Private Number’, however, my poor old shoes just pale in comparison, and now I’m wondering how I can possibly live without them. 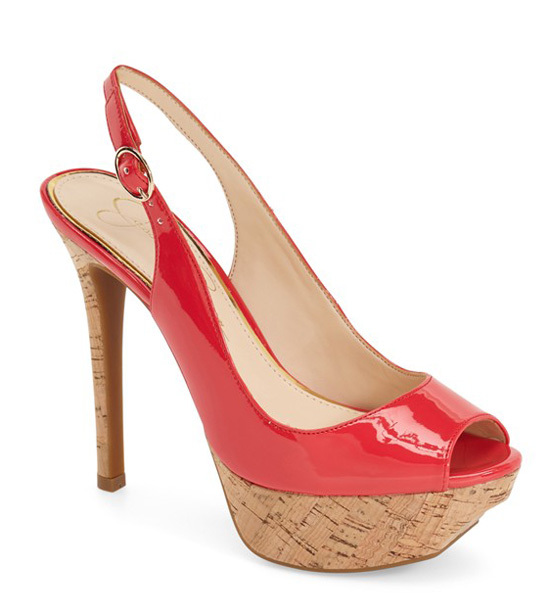 These ones are by Jessica Simpson, and if I’d seen them before the Louboutins, I’d have thought they were pretty sweet. The chunky cork platform gives them a bit of a summery feel (and should make them fairly comfortable to walk in), while the patent upper is every bit as red and shiny as the designer version – but for a much more affordable price. 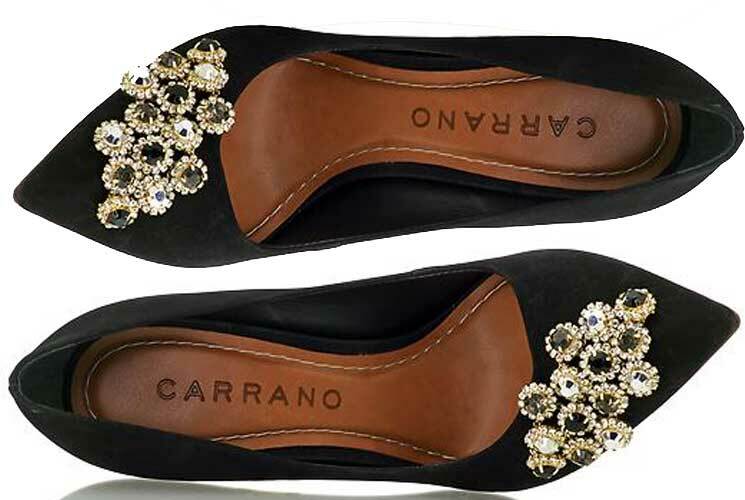 These ones, meanwhile, aren’t by Louboutin either, but they do have a bit of a Louboutin-esqe feel to them, don’t you think? 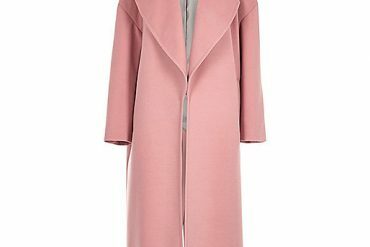 Why am I suddenly obsessed with pink coats?